I'm interested Send me a quote for the pack and shipping! To discuss pricing and options, please, place an order and we will give you a call or give us/Carl a call. One of the largest solar energy storage battery systems available! There are two ways to get an exact quote for base shipping for your order. 1. Contact us at (801) 449-0681 10:30am-4pm Monday-Friday or matt@lithiumbatterypack.co 2. Place your order by adding your items to the cart and then clicking "Proceed to Checkout". 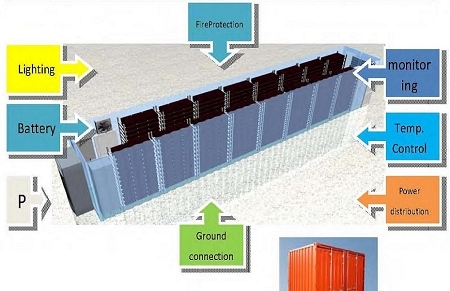 This energy storage system is made up of two battery units of 534 kWh each. We can supply this system in any kWh rating in increments of 534 kW. Price will depend on what you need.